I’m not a great fan of American cars, but Barrett-Jackson’s next auction in Las Vegas on October 13 features some really unique Detroit Iron. Most spectacular is this 1970 Plymouth Speedbird, which was purchased by the EPA in 1972, then fitted with specialized air quality measuring devices, and used to ‘chase’ commercial jet planes down a runway to measure the air quality! Then this pair of very original Pontiac Firebirds, which have only had one owner, since being released by General Motors from its original production collection. These were the first two production Firebirds in 1967, as VIN #001 and VIN #002 and used for advertising photos and motor shows. They were the first of 82,000 Firebirds produced by Pontiac. They will be sold only as a pair! 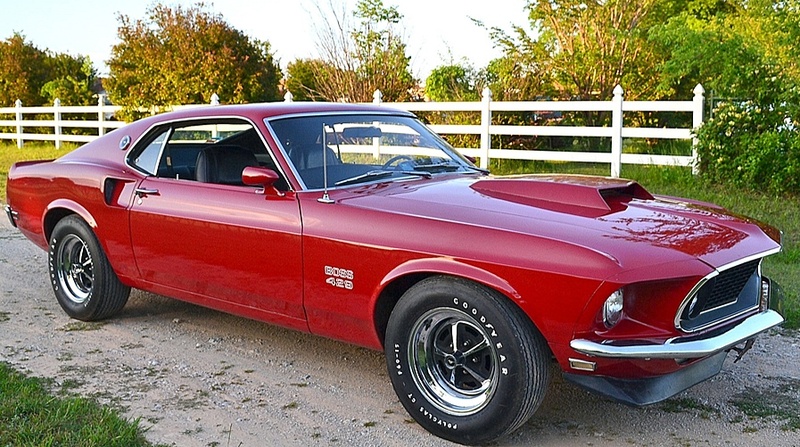 This 1969 Boss Mustang is a one-owner car with just 21,400 miles on the clock, and fitted with an S-code NASCAR 7-litre V8 and 4-speed manual. Finally, a very rare (only 350 built) 1968 Shelby GT500 convertible with 7-litre Police Interceptor engine, plus non-standard automatic transmission and air conditioning. As original owners age, a lot of these low mileage, beautifully restored classics are emerging onto the auction market in the USA, and as The Australian newspaper’s John Connelly (a recognized expert on classic cars) will tell you, these are usually exceptional bargains, especially (as in the case of the Mustangs) they are sold without a reserve price.